Scrapped in Spain in 1950. 131k Photograph taken around the time of a 1917 inspection by the Third Naval District. 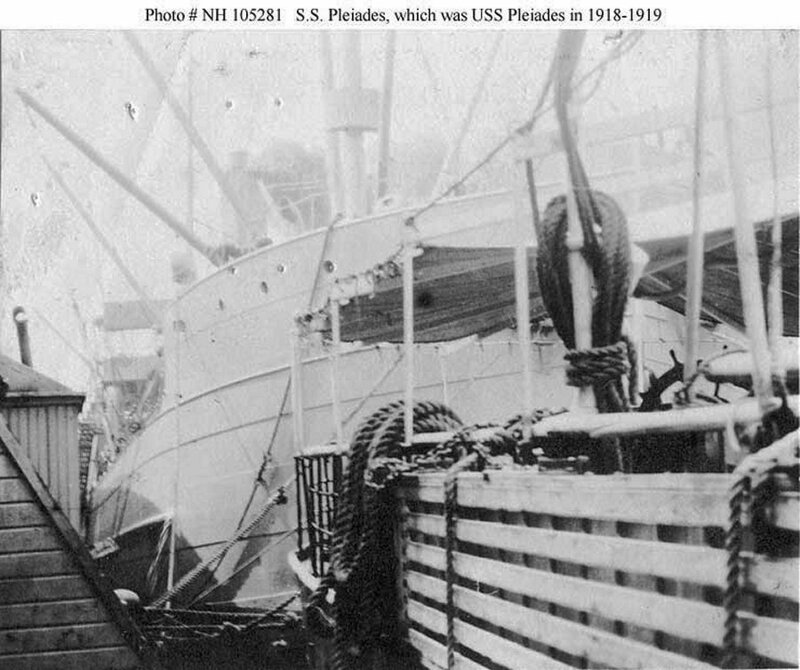 Dictionary of American Naval Fighting Ships: Pleiades (ID 1616), built in 1900 by the Maryland Steel Co., Sparrows Point, Md. 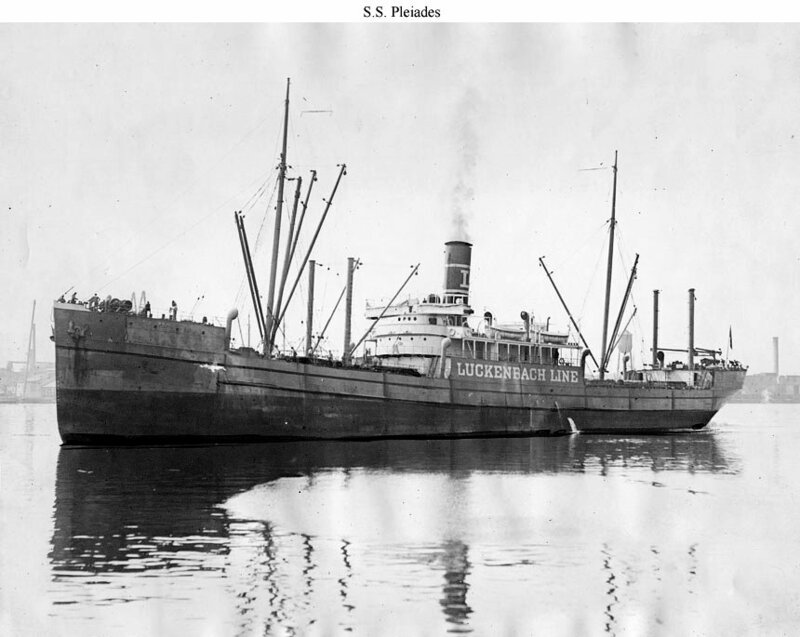 was taken over by WSA [War Shipping Admiistration] from her owner, Luckenbach S.S. Co., New York, and turned over to the Navy, on bare boat charter, 26 August 1918; and commissioned 27 August 1918. 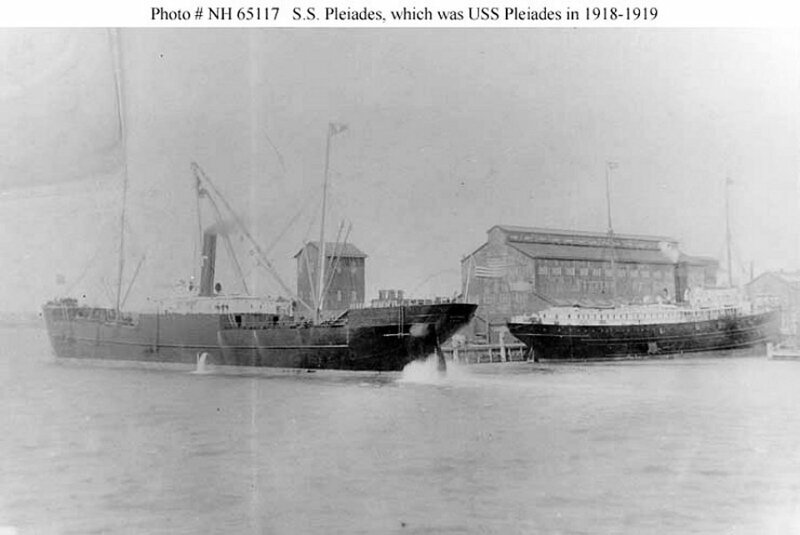 Refitted at New York for use as a NOTS vessel, on Army account, Pleiades completed one cargo run to France and back, before the end of the First World War, 11 November 1918. Following the Armistice, she crossed the Atlantic once more, returning to the United States 29 January 1919. Reconditioned, she decommissioned, 7 March 1919, and was returned to her owner, at Philadelphia, 18 March 1919.